Your name. No nickname please! Your email address, where we can send you the confirm. In case you need something more or you have anything else to tell us please write it down below. ≡ weekdays 15:00 – 22:00≡ saturdays 12:00 – 22:00≡ sundays 12:00 – 21:00Let us know in case you wanted to book the track beyond the above stated opening hours, we will open if you book the entire track for a kids party or other events. If you want to do this fill in the contact form in the column left and choose “other” package and in the text box below please indicate the details. Or you can write a free-format email to us to info@flashkart.hu. 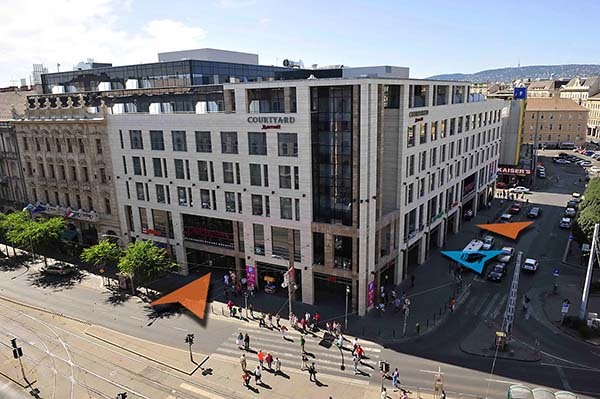 Getting here During the day come by metro line M2 or by bus 7 and get off at “Blaha Lujza tér” stop. In the night the following buses stop here: 907, 908, 931, 956, 990 and of course, tram 4-6 takes you here any time. Parking If you choose to come by car, after 8 p.m. parking is free in the Blaha parking lot and in the Somogyi Béla street, or you can leave your car in the guarded underground car park. Entrance Europeum mall has entrances from József street and from Blaha Lujza square. Take the elevator to floor -5, and from there you cannot miss it! When the mall is closed, you can enter the building through the door for night visitors that is next to the main entrance from Blaha Lujza square. Do not forget to ring the door bell!